Calypso Sally live on the interwebs tomorrow night! 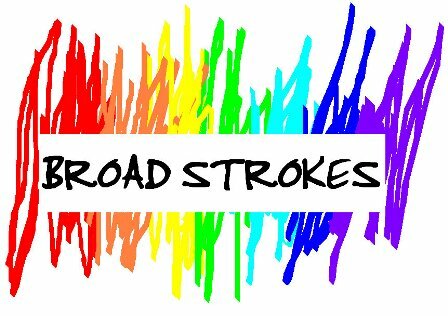 Anywhoo, for those of you that don’t know, I have a radio show called Broad Strokes, and it streams live off the web every last Wednesday of the month. My dj name is Calypso Sally, but I don’t just play Kaiso, lol. I try to play a broad range of genres, stretching from indie rock, pop, alternative, noise rock, hip hop, reggae, dance hall, metal, calypso, funk etc. It’s sort of a mixed bag. I also have live acoustic performances. Check out the live in studio session of Holy Moly! this past June, HERE. These guys are mad talented, and really down to earth folks. Their tunes make me want to stomp my feet and drink some gin, and as you will discover from the broadcast, I don’t like gin, hee, hee. I can’t wait for their record to drop! Bringing you stories, live events, and much more, WHFR tries and remains independent of any corporate sponsorship. So, if you like what WHFR is doing, you can donate by contacting them at info@whfr.org. DIY forever baby! September 28th, Calypso Sally spins, the first women, fronting and/or backing bands. If anything, what tonight has taught me is that I depend too much on an unreliable device, and most frightening of all is that my memory isn’t as sharp as it use to be. I wanted to say it’s because I’ve gotten lazy, which is possible, but when you’re kinda both a visual/audio person it is sort of suspect, especially when most things today entertain both simultaneously without having a huge satellite dish on your roof (as a kid I always thought that the peeps who had huge satellite dishes were either trying to communicate with the dead and/or aliens) you just need to know how to work a damn handheld device (yeah, that sounds dirty). I googled memory loss, because I freaked out that I couldn’t remember an address I saw in my email enough times that even a five year old would remember (okay maybe not a five year old, but whatever). And of course smoking cigarettes came up, and of course I suddenly hear the stern warnings of my doctor who refuses to call me X, but prefers XYZ which just adds to the sternness of her tone because the only person who called me XYZ was my mom, and it usually meant I was in trouble. Which reminds me of this song by Turbo Fruits, but I’m totally detouring by association because I’m hooked on cigarettes, and I don’t want to deal. Also I’m very bored, which means I blah, blah, blah, and smoke some more. Maybe I should take-up a sport… Ugh. alone and wanting a God to save you. your name, building your totems. want to repay me with sterile isolation. that grew apart from me. what we were doing, but doing it anyway. Did the fire burn out? promise of a spark extinguishing.